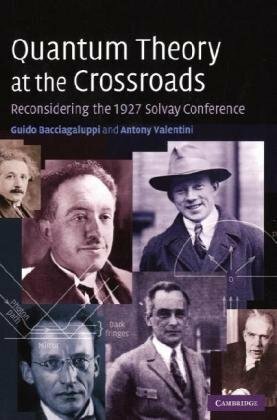 We reconsider the crucial 1927 Solvay conference in the context of current research in the foundations of quantum theory. Contrary to folklore, the interpretation question was not settled at this conference and no consensus was reached; instead, a range of sharply conflicting views were presented and extensively discussed. Contents: Multiverse; Many-worlds interpretation; Novikov self-consistency principle; Wormhole; Faster-than-light; Chronology protection conjecture; Philosophy of space and time; Eternalism; Determinism; Free will; Time travel in fiction; etc. Although dark energy is a modern concept, some elements in it can be traced back to the early part of the twentieth century. This paper examines the origin of the idea of zero-point energy and in particular how it appeared in a cosmological context. His theories and philosophy rose above a turbulent life. The story, checked for accuracy by leading historians, will interest all readers. Enhanced with striking pictures, voice clips, and essays, this is a one-stop source for Einstein information.